Security – that reassuring sense that everything’s okay. It enables us to fully appreciate life and live to our full potential. Modern technology offers some new tools for enhancing security, major protection that’s also a lot of fun. But fun doesn’t mean fickle. Here are a few choices of security gadgets that are seriously efficient and seriously fun. 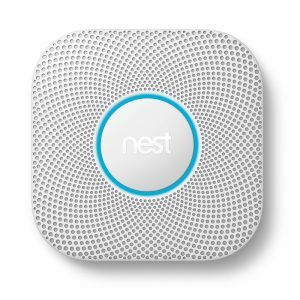 A stylish new take on the traditional white hockey puck style of a smoke detector, The Nest Protect 2nd Generation has an impressive array of features. The industrial-grade detector has a split spectrum sensor instead of the standard single photoelectric type. This enables it to read shorter wavelengths and detect smoke more quickly. And if you burn the toast, you can also silence the alarm from your smartphone: a big improvement over dragging out the stepladder. Alarms notify you in a human voice, telling you what and where the problem is. A colour-coded light system will also inform you of the status, as well as provide a motion-activated night light. The device automatically tests itself when you’re not home using an embedded microphone that detects whether the alarm is working. The carbon monoxide sensor lasts up to 10 years, which is the longest allowed by law. Some insurance companies also give discounts for installing Nest systems. 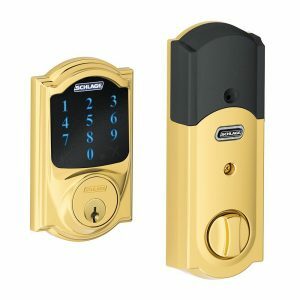 A smart lock such as the Schlage Connect Camelot Touchscreen Deadbolt can make life a little easier. Not only can it give you the security of knowing your home is safe when you’re away, but also the assurance that you can no longer accidentally lock yourself out of your own house: just punch in your private code and you’re back inside. Up to 30 programmable codes make it possible to give family and guests their own code, with the ability to delete them when they leave. Attention was given to things you wouldn’t even think of, like a fingerprint-resistant touchscreen so a criminal can’t make out your code numbers by the smudges. A built-in alarm senses door movement and gives a different tone according to the force exerted on the door. A monthly subscription service adds extra features, including remote unlocks and alerts when someone comes in or leaves. 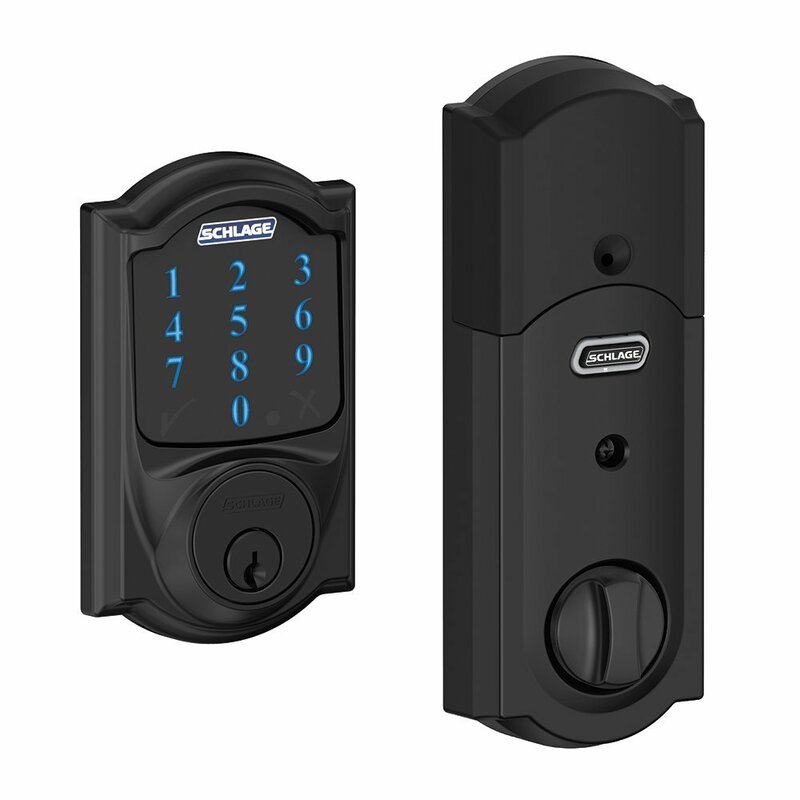 The lock is battery-operated and relatively easy to install. With the Ring Video Doorbell, you can not only see who’s at the door before you answer but talk to them if you can’t answer. Need to tell the delivery person to wait a few seconds? No problem, and no running unprepared to the door. You don’t even have to be home, just get the notifications on your smartphone and start a two-way chat from anywhere. A motion detector also alerts you that someone is at the door, even if they don’t ring. The Ring doorbell comes with a built-in rechargeable battery or can be connected to your existing wiring. The HD camera with night vision provides a 180-degree view, so you can see everyone at the door. The unit is weatherproof and includes a lifetime replacement guarantee in case of theft. With a subscription, you can also add cloud recording of activity at your door. 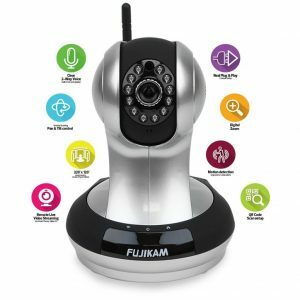 The Fujikam FI-361 HD Cloud Camera competes with higher-end systems, but at a lower price point. Easily monitor what’s happening in your home with your smartphone. The remote live video streaming is extremely smooth, benefiting from a high compression ratio. 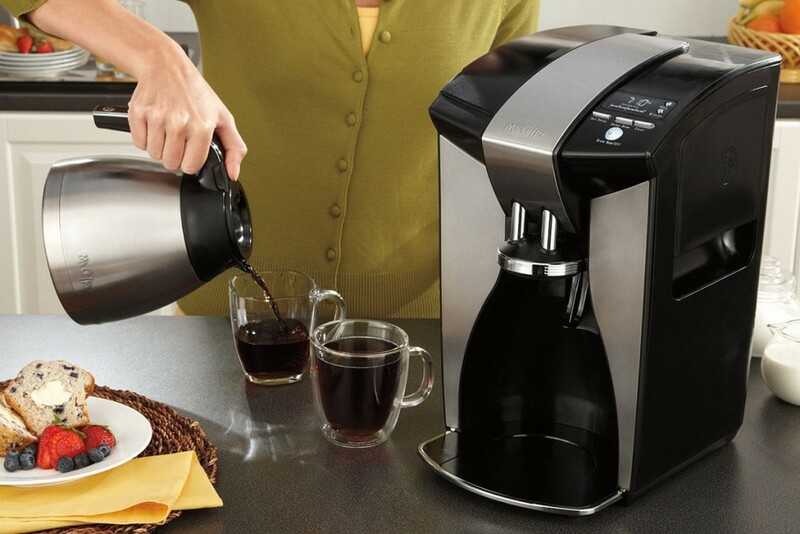 The HD camera with night vision captures a wide 320-degree view so you can see the whole room. Up to 32 MB can be recorded on the SD card, which ranges from 8 to 24 hours depending on the resolution setting. The unit can also be used as a 2-way intercom system between rooms. 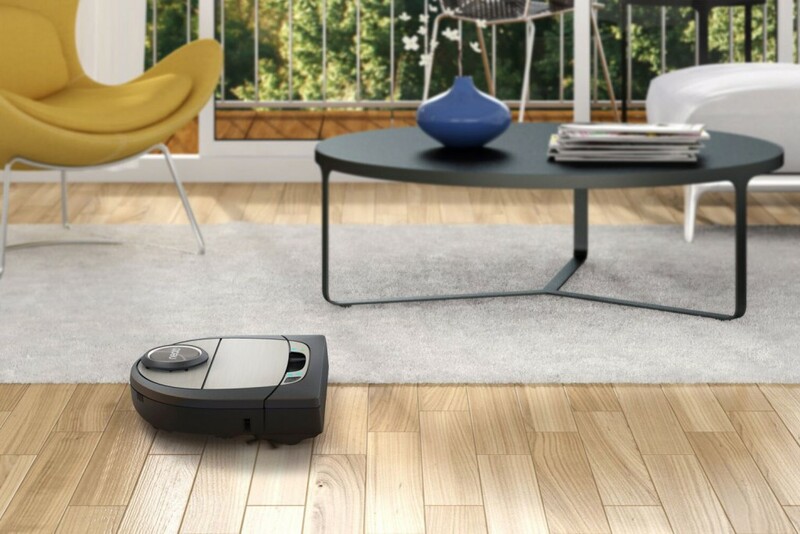 Rated for indoor use only, the Fujikam FI-361 requires access to a power outlet. Setup is simple plug-and-play and it should be up and running within 5 minutes. Multiple units can be set up and monitored from one smartphone or computer. 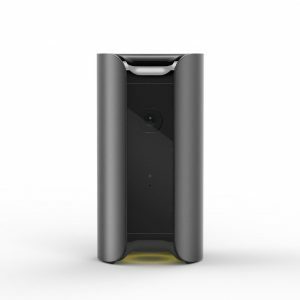 Easy to set up and highly portable, the Canary All-in-One Home Security Device is a viable option for apartment dwellers. The HD camera with night vision offers an impressive 147-degree view of the room and streams it to your smartphone. Motion detection alarms are also sent, which give you the option of ignore, activate the siren, or call the police. The unit also monitors air quality, temperature, and humidity, although it does not connect to wifi-enabled thermostats. Like Nest Protect, having a Canary in your home can give you welcome discounts on insurance rates. Privacy is not a problem, as there are settings to turn off alarms and monitoring when you wish. And no little birdie is going to tweet out your secrets with the Canary: the monitor is protected by 256-bit encryption so you know that only you can see what’s happening in your home. You can record to the Canary cloud if you wish, and unlike other systems, there is no subscription fee.